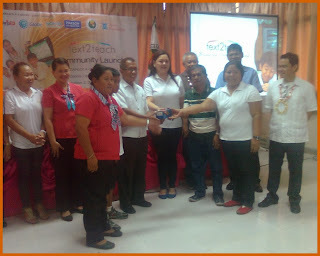 Cubay Elementary School is one of the 25 elementary schools in the Division of La Carlota City to avail the Text2Teach program of Ayala Foundation, Inc.
Mayor Juliet Marie D. Ferrer of La Carlota City, Schools Division Superintendent Dr. Portia M. Mallorca, and Head for Visayas Operations Dino Rey C. Abellanosa of Ayala Foundation, Inc. signed the Text2Teachn Memorandum of Agreement (MOA) last September 2013. 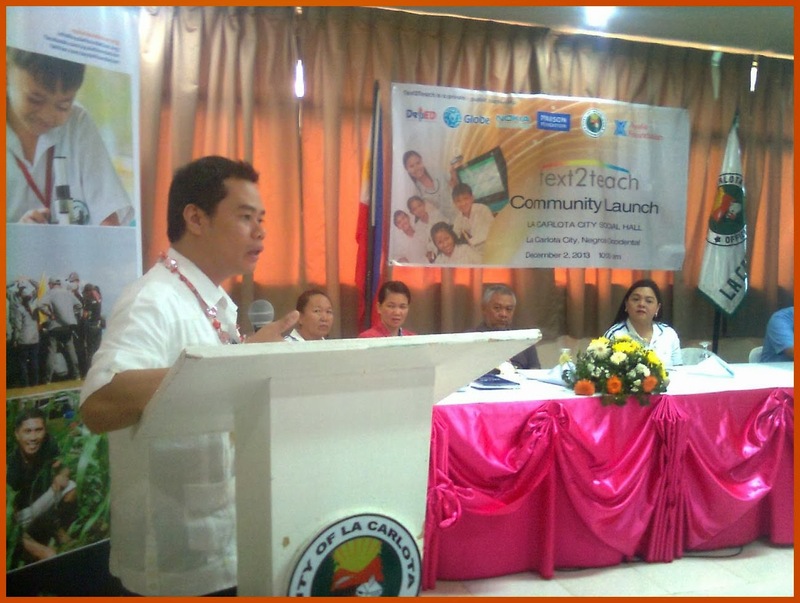 This MOA is for the implementation of Text2Teach for 25 public elementary schools in the City of La Carlota. This makes La Carlota as the first recipient of Text2Teach with more than 100% schools being covered. On December 2, 2013, this program was officially launched in a simple Community Launch and Turnover at the function hall of La Carlota City. It was well-attended by the internal and external stakeholders responsible for the effective implementation of this project. The school heads, ICT teacher, pupil representatives, PTA presidents and Barangay Captains attended the rites. They signed the Deed of Acceptance specifying the needed video instructional materials and set of equipment for their respective schools. These materials may include the following 32-inch LED TV set and TV rack, Toshiba brand, NOKIA mobile phone and RCA guide, SIM card, AVR, Speaker, Software (Nokia Educational Delivery and Nokia Data Gathering), Text2Teach educational video materials, and Teacher’s Guides. In a simple program, City Councilor Jose Luis A. Jalandoni, chairman on Education Committee delivered his welcome address. Dino Rey C. Abellanosa of Ayala Foundation, Inc. gave the background of the project. After the turnover ceremonies, SDS Portia M. Mallorca shared a response. 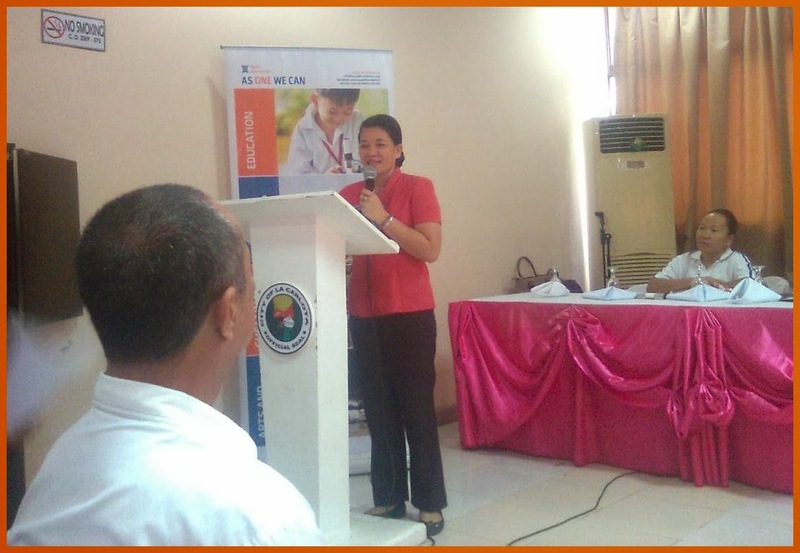 Mayor Ferrer expressed her appreciation to the project too. 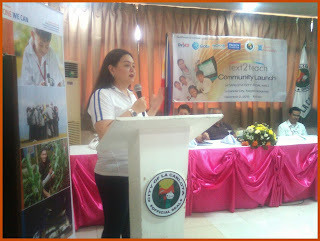 And Division Administrative Officer Ruth F. Villanueva gave her closing remarks. SDS Mallorca was overwhelmed for this over flowing blessing received by every school in the division through this Text2Teach program of Ayala Foundation, Inc.
She said that the teachers’ competence on teaching the subjects like Math, English, Science and Values Education is facilitated through this modern technology of transfer of learning. Mayor Ferrer was also very happy that there is enough money which the government has allotted for this educational project of the DepED. The Mayor was elated of the full support the school heads, the parents’ organization and the Barangay which they manifested in attending this simple community launch and turnover ceremonies. 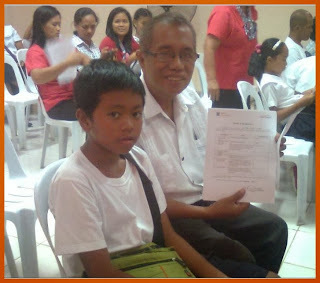 “The City of La Carlota is the first city to avail this Text2Teach Program in the whole country in which more than 100% of the entire schools, both elementary and secondary public schools including the special education (SPED) integrated school are recipients,” the Mayor said. This favorable action of the local executive of La Carlota was the result of consultative meeting of all stakeholders concerned like the school principals and the teachers before the signing of MOA in Silay City. 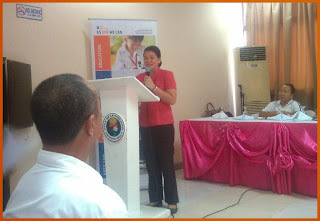 In giving the background of the project, Abellanosa mentioned the three pillars responsible for the full implementation of this Text2Teach project. These are the technology provided by Toshiba and Nokia, the Department of Education, the implementors; and the sustainable lifestyle which gives way to information accessible to teachers and students. In letter sent to the concerned and responsible persons for the effective implementation of the project, he wrote “Text2Teach is globally known as BridgeIT, an ICT-based program that aims to narrow the educational divide between nations by improving the quality of basic education in underserved schools in developing countries. He informed that the Gobal Support Team of Text2Teach is composed of the United Nations Development Program (UNDP), International Youth Foundation (IYF) and Pearson. While the Philippine Implementation Team is composed of the Department of Education (DepEd), Nokia, Globe, Pearson and Ayala Foundation as the head project implementor. He said further that Text2Teach works on a set of criteria which determines suitability for inclusion. The chosen schools will be based on the validation criteria. Text2Teach is also a prime example of public-private partnership in education. The counterpart strategy between the public and private sector enables the program to move one a larger scale addressing an education need not just for specific areas but for the whole public elementary school system itself. Engaging the public sector to put in their share of resources to match the grant provided by the Text2Teach Alliance helps in securing the projects’ sustainability because of the stake they have placed in the project. Teacher Training and Stakeholders Orientation in 2 batches are in line to facilitate the smooth and efficient implementation of the project. The dates set will be on December 9 for the first batch and December 12 for the second batch. These will be a 3-day training at the function hall of the City of La Carlota. This is wonderful way to put forward education in the Philippines. Indeed, the private sector and the government can work together for a good cause. 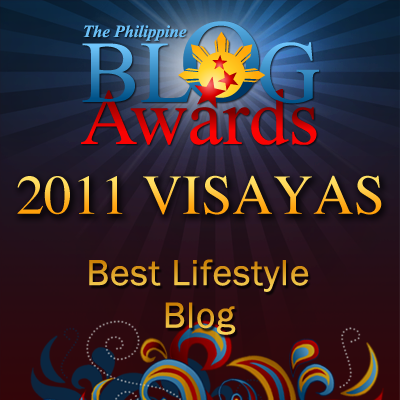 This is a very commendable project of Ayala Foundation. This is the kind of private public partnership that we need today, all for the benefit of our youth. I am glad that public schools like Cubay Elementary School can now upgrade their method of teaching with the help of private sector and our government. Kudos to the initiatives of this project!